Combining elements of technical, progressive, modern, avant-garde, dissonant, and melodic metal into 43 minutes of material, this is an album that packs a lot into its playing time and uses this to take the listener on quite a journey. As you can probably tell from the above paragraph, this is quite a diverse and wide-ranging listen. The skill of a band like this has to be employed in providing focus and restraint in the right areas, while allowing the music the freedom to roam and explore in others. Done in such a way, it enables the various disjointed influences to coalesce naturally and in an unforced manner, resulting in songs that are actually enjoyable songs, rather than being smashed together collections of riffs and half-realised ideas. 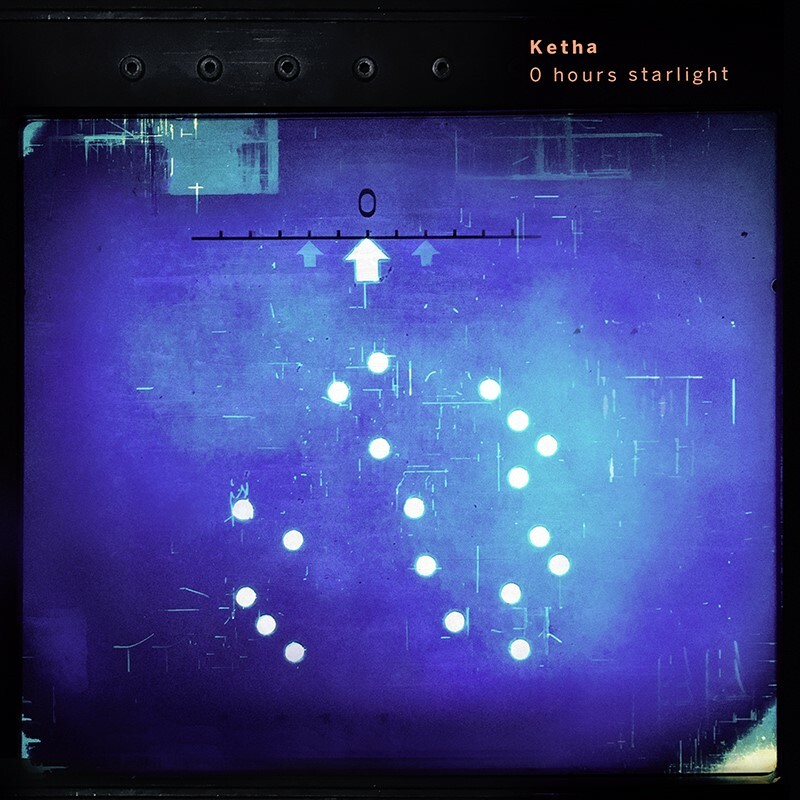 Ketha manage to pull all of this off in a pleasing and satisfying manner. After all, if they hadn’t, I wouldn’t be reviewing this as it wouldn’t be worth it. Having said that, of course, this won’t be a release for everyone. It’s probably too non-standard and atypical to find favour with fans of instant gratification and direct catchiness. Instead, people who enjoy music that grows over time, with esoteric melodies, progressive dynamics, and experimental metallic structures will find a lot to sink their teeth into on 0 Hours Starlight. Check this out and see if it’s to your tastes. This entry was posted in Metal and tagged Avant Garde, Dissonant Metal, Ketha, Melodic Metal, Metal, Modern metal, Progressive metal, Technical Metal. Bookmark the permalink.